One of the most frustrating things that a consumer can face in buying a new phone is the inability to purchase the device they want due to a lack of product. A device that has been hyped for months and months on end can disappear in a matter of minutes — Nexus devices for example. While it’s certainly not the end of the world when this happens — and patience is a virtue — it can be aggravating nonetheless. The folks at OnePlus know this and are making an effort combat this problem. With its OnePlus One device, the company has created an invite system to combat the frustration that consumers feel while also gauging the demand for the phone. Thanks to the invite system you’ll be 100 percent guaranteed to buy and receive the device. 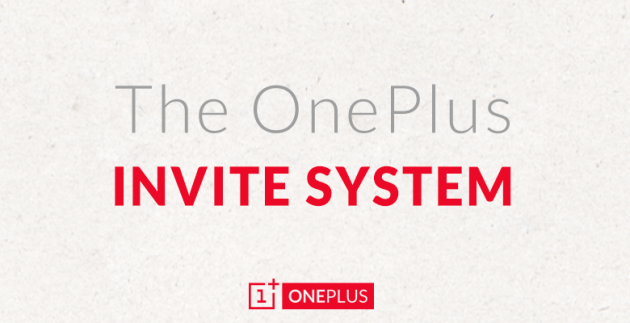 Invites will be available through friends, through contests and through the OnePlus forum. Those who have bought the phone will be able to invite their friends at a future time as well. There aren’t invites at this time but given that the phone will start out as being available in limited quantities this will allow the OnePlus gang the ability to meet the demand with the device becoming easier to obtain over time. We’ll update you as to how to get an invite as soon as we know. Stay tuned!